Combine Doctor Who with Transformers and what do you get? TARDIS Prime. Obviously! 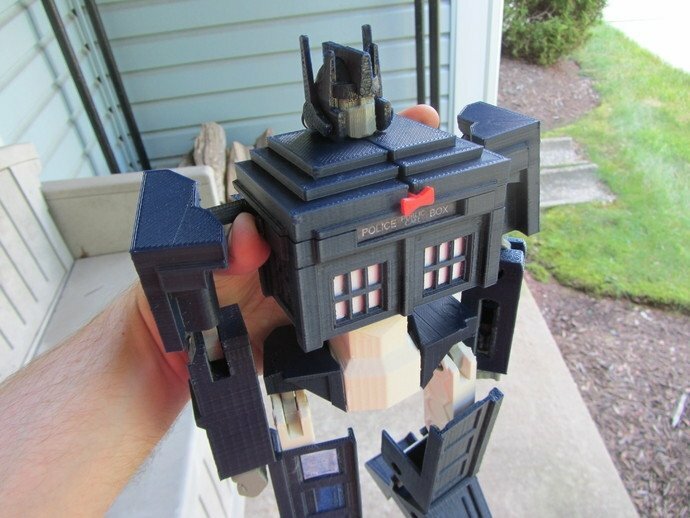 Check out this awesome mashup figure, created by MakerBot Thingiverse contributor Andrew Lindsey. 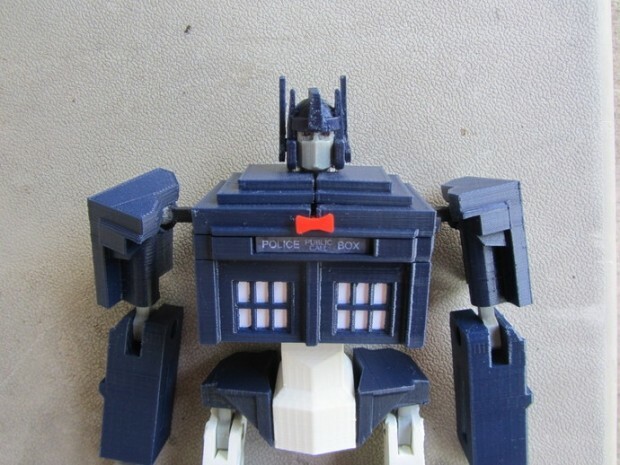 He was inspired by the mashup illustration of TARDIS Prime created by artist Jason Casteel. 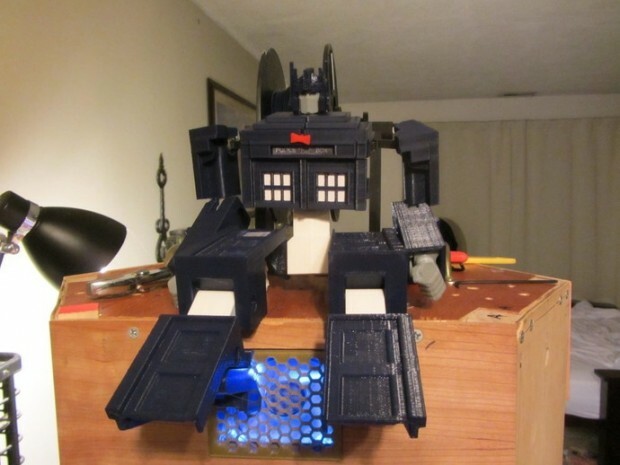 Andrew took it one step further and made a 3D printed functional transformer that’s both TARDIS and Optimus Prime. TARDIS Prime! 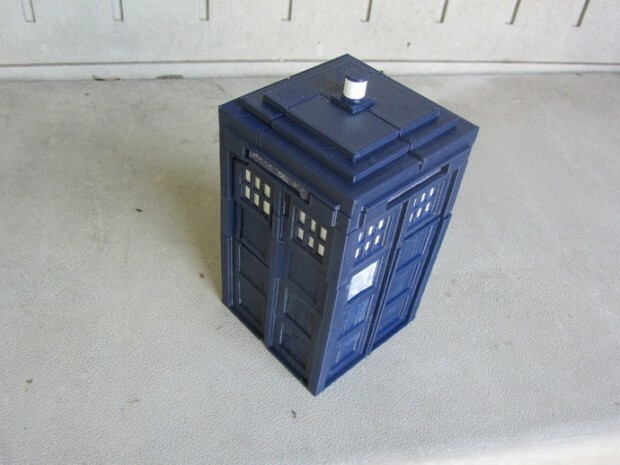 It looks super cool and now I’m just jealous because I want a TARDIS Prime figure for my desk. Luckily I can make one and so can you. Just head over to the TARDIS Transformer project page for CAD files and detailed instructions. Oh yeah! This is going to be a fun project.